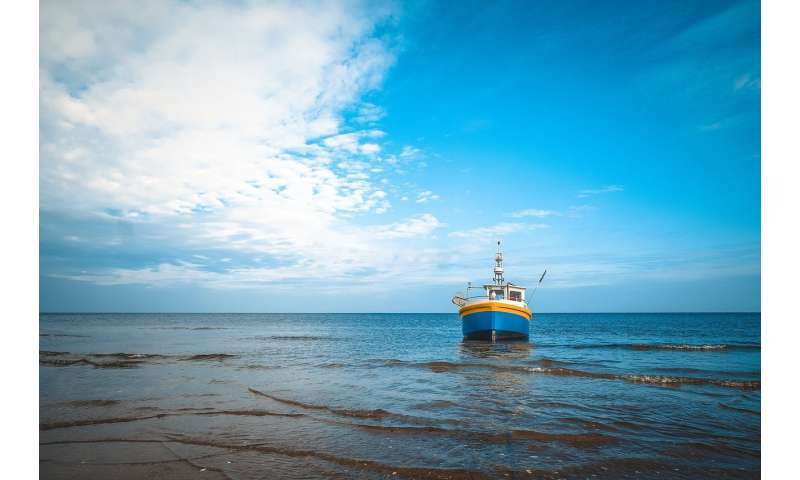 In late 2018, the U.S. National Marine Fisheries Service proposed a rule change that would reverse current policy and allow the agency to use public funds to underwrite low-interest, fixed-term loans for the construction of new commercial fishing vessels. The proposed change, which is still pending final approval, lacks scientific merit and should be rejected, according to a new analysis by a Duke University economist. "We just spent millions buying out a bunch of fishing vessels to reduce overcapacity in our federal fisheries. Now we want to spend millions more to put them back in. That's a total waste of taxpayer dollars," said Martin D. Smith, George M. Woodwell Distinguished Professor of Environmental Economics at Duke's Nicholas School of the Environment. "The notion that the government should subsidize commercial fishing beyond what the market deems profitable is a turn away from a market economy," he said. "For an administration that rails against socialism, it's bizarre that it would place more faith in big government to price vessel loans than in the private banking industry." Smith published his peer-reviewed policy analysis April 5 in Science. Aside from being fiscally unwise, the proposed rule change undercuts long-term sustainability objectives in U.S. fisheries, Smith argues. It also ignores the most current science on fisheries' interconnectivity and is unfair to taxpayers, other industries and future fishers, who will face a sharp disadvantage competing for available loans, he said. If the proposed rule change is approved and finalized, it could also undermine global efforts to reduce illegal, unreported and unregulated fishing, and increase harmful impacts on habitats and non-targeted by-catch species, he argues, because boats and crews go where the fish are. "The latest science teaches us that fisheries are interconnected and leakage from one to the others is a real thing. If there are too many boats in one fishery, there's little to stop fishers from seeking better opportunities by moving to another fishery," Smith explained. As more and more fishers do this, the problems linked to excess capacity can spread to other fisheries—including fisheries that currently are well-managed. These problems include overfishing, weak economic performance, increased by-catch and habitat impacts and unsafe working conditions on fishing vessels. The policy might also lead to an increased risk of the "race to fish" in which fishers ratchet up the number and power of their fishing vessels early each season to catch as much of the fisheries' limited supply of fish as possible before their competitors can. The issues can also spread to unregulated fisheries or those in the high seas, beyond U.S. jurisdiction. "It becomes like a giant game of Whack-a-Mole," Smith said. "You whack a problem back in one fishery, and it pops up again somewhere else." The use of subsidies for new vessel loans has been prohibited under U.S. policy since the 2007 reauthorization of the Magnuson-Stevens Fishery Conservation and Management Act. In the ensuing years, fishery managers have made substantial progress in reducing overfishing and rebuilding fisheries by adopting scientifically sound management practices, such as catch shares, to address overcapacity. Smith said the amount of money the U.S. now spends on "bad subsidies" that encourage overfishing or excess capacity is very small by global standards. "If the new rule allowing taxpayer money to be spent on vessel loans is finalized, it could undo this progress and undermine our country's global leadership on reducing subsidies and maintaining a consistent commitment to fight illegal, unreported and unregulated fishing," Smith said. No date has been publicly announced for when the proposed rule change might be finalized, but many experts expect it will be this spring. "Rejecting the rule change would signal a commitment to fairness and foresight," Smith said. "It would mark a step away from outdated management approaches that ignore the fact that fish stocks are connected ecologically, fishing vessels can range across the water, and the ownership of vessels and other fishing capital can cross political boundaries," he said. "These are the realities, and our policy should reflect them."